Remember that time when George Lucas sold the rights to Star Wars for $1.00...? National Public Radio - you know, the people who do their best to bring an unbiased look at current world events whilst depending on regular pledge drives from its listeners* to pay the bills - once did something so controversial even some of its programmers bellowed like Taun-Tauns in the frigid Hoth air. In 1981, among dwindling listenership, a new U.S. President at the height of the Cold War, and smack-dab in the midst of a three year chasm between The Empire Strikes Back and Return of the Jedi, NPR took a risk. In the hopes of reclaiming audience numbers, a southern California NPR station reached out to Star Wars creator, George Lucas, and asked his permission to create a radio drama based on his intergalactic celluloid sensation. To this, Lucas responded in the affirmative, selling the rights to Star Wars to NPR for One Dollar. (Apparently, NPR was less of a white enslaver than Lucas would later claim Disney is, some 30-plus years later...). The radio drama spans 13 episodes, and spans close to six hours in total run time. Each episode includes the famous John Williams score, as well as a variety of official film sound effects. What is new, however, is how the production fills-in many gaps and elements of backstory left out of the film. This, of course, takes part of at least the initial episode to process - learning who the voices belong to, how the new characters fit into the story, etc. NPR did a fantastic job capturing the essence of Star Wars. As an example, much of the first episode, "A Wind to Shake the Stars," sounds much like you would expect a 1940s radio drama about a bunch of young men bantering back-and-forth to sound. With the added alluring backstory (Luke and Biggs Darklighter share a moment) parts of the film somehow becomes more alluring. What was sometimes challenging, however, was overcoming the familiarity of situations, dialogue and even actors voices. Case in point, while Brock Peters technically does a fine job of voicing Darth Vader, the actor is asked to due the impossible - sound remotely close to James Earl Jones. To a lesser extent, the same is true for many of the film's primary characters. If you're able to work through, or look beyond, this, the story itself is strong. The question now, of course, in the post-Lucas Star Wars realm, is does the NPR radio drama count as canon? No, it doesn't, but what is here doesn't conflict with the story that we are already familiar with - unlike much of the now-defefunct Expanded Universe did/does. More intriguingly, is whether or not current Lucasfilm execs will borrow from this series when telling the story of how the original Death Star plans were stolen in the upcoming Rogue One. If so, it could make for an interesting storyline, given Princess Leia's motivation in the radio drama. The writing, acting, sound and score are equally strong, and no part of the series was outright cringe-worthy (i.e. no "Attack of the Clones" dialogue here). Overall, the production is solid, and does a fine job of retelling a familiar story while connecting some dots along the way. It's a lot like meeting the children of your best friend from childhood - there is familiarity, but yet there's something completely new. If you're expecting a fast-paced thrill ride, similar to the films, this is not the Star Wars experience you're looking for. However, if you're looking for a well-produced story that blends familiar characters and situations with new characters and more backstory, but told at a slower pace (perfect for commuters), then you'll find this production nearly as satisfying as bulls-eyeing a Wamprat from the cockpit of your T-16. In the coming weeks, we'll be breaking down some of the nuances of the individual episodes - and we want you to join us! Be sure to follow this blog series, and you'll have the chance to listen to each episode via our site. Until then, what are your thoughts? Will you give it a go, or the does thought of adding new characters, non-canonical situations, and a slower pace have you running from this production like a drunk Jawa in a Rancor lair? Related Sources: NPR; MediaLite. 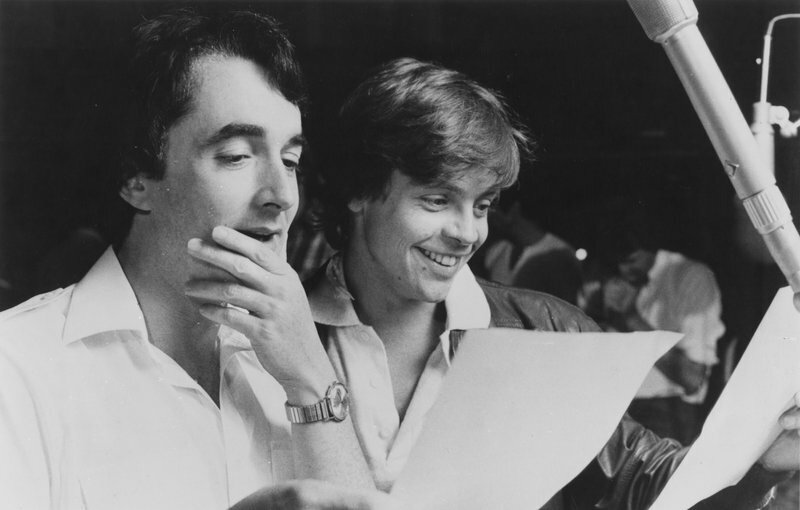 The NPR Star Wars Radio Drama is available to purchase at: Amazon and eBay, or digital download sites of your choosing. EDITOR'S NOTE: Vintage Review is a regular feature discussing and reviewing iconic Star Wars merchandise from the 1970s and 1980s. Vintage Review blends nostalgia with the critical eye of a collector. If there's a piece of vintage Star Wars merchandise you'd like to see featured, let us know by commenting below!